A severe wind storm and a following arctic front put a real damper on fishing. Infact, I don't know of a single boat that went out all week. Therefore, since there is no news, this week's report is a repeat of last week's report. The fishing for winter (feeder) chinooks was FAIR with lots of 3-5 lb chinooks with the larger ones between 8 to 10 pounds. The chinooks have been close to the bottom and glow spoons and bait with glow teasers have been the most effective lures. The water level on the Cowichan is still receding and is in good shape for fihsing the river. It’s close to 1.0 near the lake and near Duncan as I write this. The water clarity is excellent. 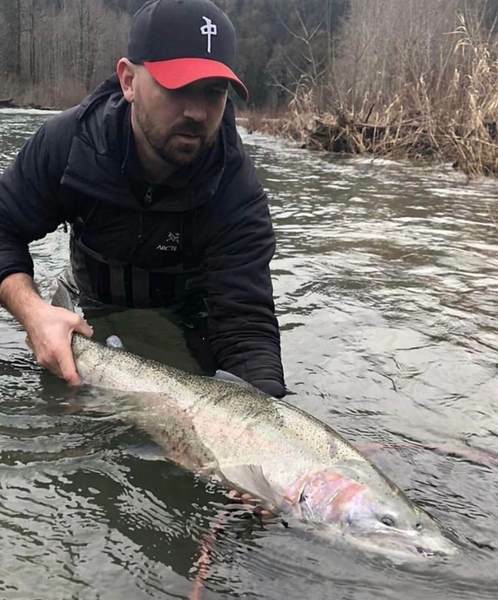 Steelhead are now in all sections of the river. However, the Riverbottom area has been the heaviest fished. 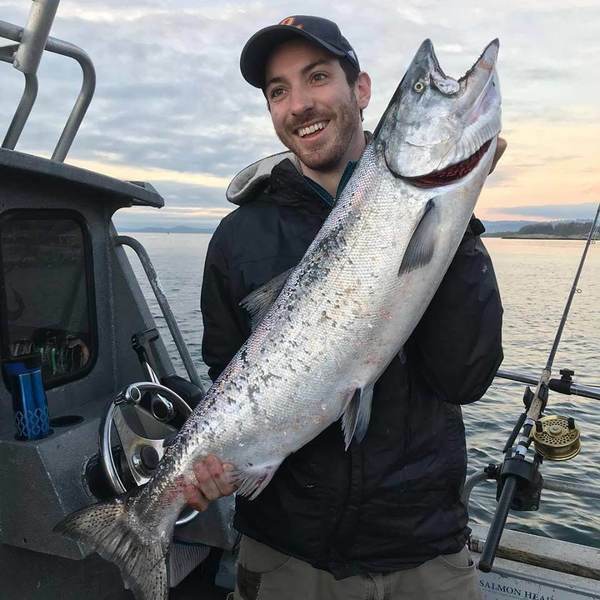 Anglers are catching steelies on both gear and flies. Trout fishing has been good at the top end. Trout fishing has been FAIR for trout at the local lakes. Shore anglers are catching trout on Powerbait, Gulp Eggs, and worms while fishing close to the bottom. Pink, Chartreuse and Fluorescent Yellow have been good choices recently for Powerbait. Fly anglers are mostly fishing Wooly Buggers, Leeches and Spratley patterns on full sink fly lines. Trollers are catching trout with worms fished behind Gibbs Gang Trolls and on Gibbs Wedding Bands. 2” Tomic Plugs have also been working well for trout. Kimberly Skillings caught a 4 lb rainbow trout at Langford Lake. She was using pink Powerbait to catch the fish. Don Round caught a 3 lb 3 oz rainbow while trolling a Spratley fly in Elk Lake. Buy Two! Murphy’s Law dictates that if you have a hot lure, you’re sure to lose it, and if you don’t have a back up you’re out of luck. So next time you pick up the newest hot lure or fly, consider buying two.